In this coming-of-age debut, a seventeen-year-old boy has one week in the aftermath of a disastrous prank to prove to the authorities, and to himself, that he’s not a worthless jerk who belongs in jail. Moses and his cousin Charlie were best friends, wisecracking pranksters, unstoppable forces of teenage energy—until the night they became accidental arsonists and set in motion a chain of events that left Moses alone, guilt-stricken, and most likely trapped in his dead-end town. CHARLIE BALTIMORE MURDERED ME when we were eight years old. Tyler James Smith attended Western Michigan University and after a stint as a mailman, is now an aide in the Chicago Public Schools. 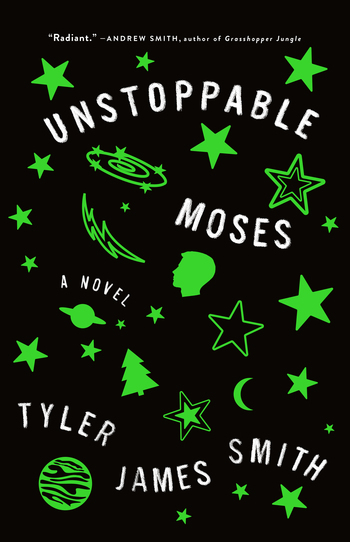 Unstoppable Moses is his debut novel.